I wasn’t sure I’d actually use one of these car seat covers…but you know what? I LOVE having this! 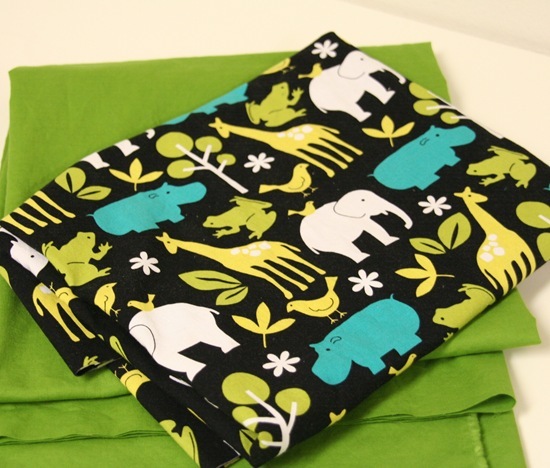 It’s perfect for a newborn that wants to stay asleep and keeps them out of the wind. You might have to fudge with the measurements to fit your own carseat because mine is really big…but it’s pretty simple to make! I made quick instructions for how I made it….and I mean quick instructions since it was night time and I was tired and I totally forgot to take pictures of the most important part where you sew the straps on…so you’ll have to play with it a bit but it’s pretty simple to do. 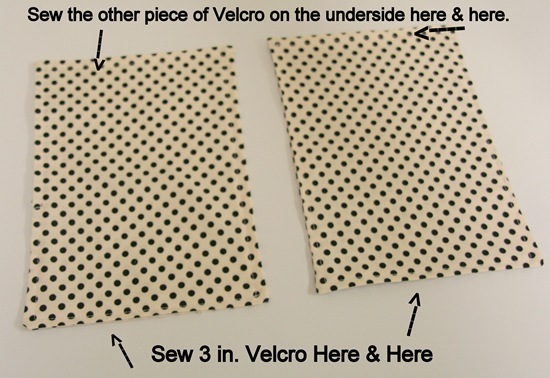 You’ll need: 1 yard outer fabric, 1 yard lining fabric, 12 inches of velcro, and a 6 in. by 36 in. strip of fabric for the handles. Trim the selveges off your outer and lining fabrics and lay them right sides together, trimming off any excess so they are the same size. My fabric pieces were about 35 in. by 42 in. after trimming. You can adjust this if your car seat is smaller, since mine is a jumbo monster Graco car seat. Pin the fabrics together. Using a bowl, trace around the edges and trim off the excess, now you’ll have nice round corners and it helps the corners of the cover to stay off the ground while your packing it around. Sew around the whole thing with a 1/2 in. seam allowance (or so) leaving a hole on one side for turning. Clip your curves, turn inside out, and press along edges. Topstitch around the whole thing making sure you close the hole with your stitches. Now the instructions are in the pictures….hopefully you can read them. Now stick a baby in it and hopefully they’ll stay nice and cozy (and asleep)!!! Fantastic my daughter is bringing home a preemie so this will be fantastic and I have lots of material. Thanks just in time. I so wish I had one of those when mine were babies… the people always trying to touch them… ick. Unsolicited advice: When he starts getting heavy and making that bucket a pain in the keester to carry around, I highly, HIGHLY recommend babywearing. A ring sling, a wrap or a soft structured carrier like an Ergo will save your arms and shoulders, and it'll keep baby niiiiice and close to you. And away from germy hands (ew). this is brilliant…i can not stand it when people would try to touch my baby. one time this lady let her dirty sticky kid touch my daughters head and then she was all covered with yuck. i can not stand that. Oh so true … why does everyone want to touch your baby! Thanks for the quick how to. SIL is having a shower in a couple weeks and this will be the perfect companion gift to a stack of burp cloths! You're awesome. Sorry you got no sleep! That's no fun! You crack me up! I HATE when people I don't know feel it's ok to touch and carress my sweet child-I would NEVER do that to someone else! Crazies work at Walmart I tell ya-crazies! I love it!!! I'd be very irritated if someone tried to touch my baby too… I hate people who do that or touch pregnant bellies without asking or if they don't even know the person. So gross. what a great idea…i always used a receiving blanket (becuz I agree completely that strangers had no need to touch my baby) to cover up my babies. this is much cuter than a blanket draped over though!! Now if only I could figure out a way to stop strangers from trying to touch my toddler without sounding rude!! Awesome cover!! I have wanted to make one. My mom made some for me but never taught me how! :D She also made some with flannel for the winter months, it worked wonderfuly! 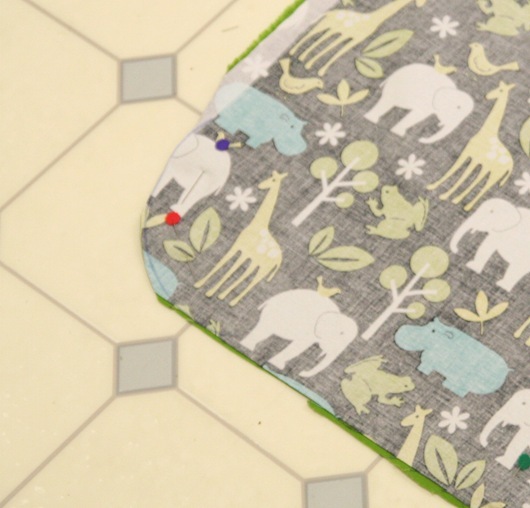 Thanks for the tutorial and the fabric you used is so fun – perfect for a boy. And, that little guy you stuck in at the end is adorable! Thanks for the tutorial. I'm bookmarking it for shower gifts or, maybe someday if I have another summer baby :) Now go get some sleep! GREAT idea, and it looks fabulous! It is amazing how some people act around babies – I had a total stranger try to pick up my 15 month old at a bowling alley. What the heck was she thinking??? I'm loving it… the story, the car seat cover, the fabric. Thanks for the info! I agree with Felicity's comment above….I don't shop anymore without putting my 4 month old in my moby wrap. I was recently at the grocery store before I got my wrap and some old guy walked by and grabbed her hands….before I could do anything about it. Makes me so MAD!!! This made me laugh! Just walking into Walmart gives me the shivers sometimes, and I always make sure everyone uses hand sanitizer when we get back in the car. Your baby is getting so big! Love the cover, never saw them when my babies were little ;-). Love the baby too by the way! Thanks for the "crappy" tutorial! I thought it was very clear. I once had an old woman at the laundry mat start to take the blanket off my carseat because the baby "couldn't breathe." I actually had to remove her hand from the handle. *shudder* I hate touching strangers and I ESPECIALLY hate them touching me or my family. Blue – I know what you mean. When I was preggers for my twins, no one but my hubby touched the belly! Allison – You are too funny! I am laughing as I read this. Why are their greeters? Cute tute and I love the directions! It looks great! I have seen some with netting to peek in but have never made one. Too cute! This is a fabulous simple idea! simple and cute. No excuse not to make one now! Too cute and love the material. You are one smart lady. Felicity, I was just going to say the same thing. No one has ever tried to touch my babies when I've been wearing them, and it's SO much easier on the arms and back (not to mention having both hands free!). I'm working on sewing up a mei-tai style carrier right now, and I'm really pleased with how it's coming along. love it…this is a great alternative to those thick, hot ones that I used with my winter baby…I think this will be perfect for keeping off the sun (ahem, crazy people..) in July. When people want to touch my daughter I say "WAIT! She just got over a bad vomiting virus and I wouldn't want you to get it :-)"
We used a crocheted blanket for that purpose (we dubbed the parakeet blankey) and EVEYONE would stop us telling us we were going to suffocate our baby. Just brace yourself for that one…. He's very cute as is the cover! This would be such a great gift for a new baby. Thanks for the instructions! I wish I had had one for those people who were always reaching for my baby's hands!! This would be awesome with oil cloth as a rain cover too! Thanks for the great idea! I might have to try this! Wonderful idea. I always kept my little one covered. I will never understand strangers thinking it is okay to touch babies. I am laughing so hard! This is an amazing blog, thank you so much for sharing your projects and stories with us. I love it! The real question is why you are shopping in WalMart in the first place. There's a great book you should read called "The WalMart Effect" that explains the impact of the company on our economy. Why is it that Americans think that a bargain is always a good thing? instead of realizing that sometimes (many times) the real costs are hidden. I like the cover, though. It bugs me more when they touch my baby's hands or feet, because those are the things that are constantly in a baby's mouth. Yuck! 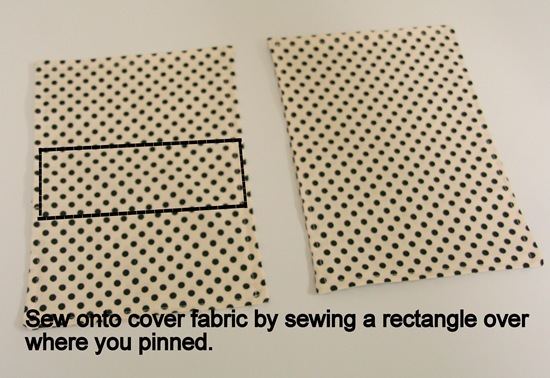 Cute fabric, totally do-able tutorial. I have the kind of carseat cover that has elastic all the way around so that it hugs the seat. It has a hole in the top for the car seat handle and easy baby viewing and access. My baby is too inquisitive now (she is 14 months and a little ball of opinionated energy) so I will have to use it on the next baby. I have a car seat cover. Love it, however people will lift it and look inside, with out asking. My baby is 10m and it is getting time to graduate to new car seat. Does anyone have a suggestion for keeping hands off your kid when not small enough for infant seat anymore. I have seen people sew a little window with thin plastic in them so people can see in but don't get to touch. 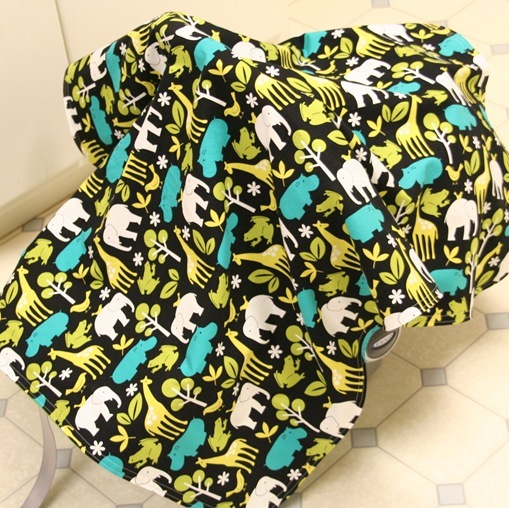 Also, you can make them with slits in the top so the handles come out and it's totally reversible. just made one of these for my sister's new baby boy. very cute and very easy with your pics. thank you for sharing. I made this for a friend and she loves it so much that my other friends are requesting them for their baby gifts. Off to make another one! Great tutorial. I live on the other side of the world where people not only touch but actually will pick up the baby etc. It does freak me out so this will be a great deterrent. This is so perfect! My friend's baby shower is next week and this is a perfect easy gift to whip out super quick!! Would I attach the 2 pieces of fabric that velcro around the handle towards the middle of the cover? I don't know if the handle is in the exact cover of the car seat. I love this tutorial! So easy to follow. I just finished making one last night and absolutely LOVE it! Thank you so much for taking the time to create this awesome tutorial. I'm expecting #4 any day and I used your tutorial to make one recently. With my previous 3 I would always try to rig up a blanket to stay in place with the hood of the car seat up, but it would move or get pulled down by the baby. This is the perfect solution!!! I'm sharing it on my blog today and linking back to your site. Thanks so much! I've got this on my list of projects to complete before July rolls around and baby #2 is due! Hahah.. Awesome! I am so making one! I had a walmart checker touch my baby's paci and then try to put it back in my baby girls mouth! This happened just a few weeks ago! I yelled maybe screamed at the lady! I couldn't believe it! Nasty!!! I had a blanket over my girl but the crazy lady rook the banket right off! This looks so easy and can't come off easily!! Thanks!!! I think this is a great idea! I was thinking about using some type of mesh material for kind of just a shade/bug/people guard. I do understand why y'all don't like just anyone touching your babies, do you realize babies didn't used to get sick as often as they do now because they were exposed to more things they had more resistance to common ailments. Just sayin'. Thanks for the idea, you've really inspired me to get to sewing!!! I love that fabric. Where can I get some? Glad to know someone other than me is cranky when they get creative and stay up all night with amazing results (the cover not the attitude!) My "heart" son & wife had a baby in Sept and this will be a perfect gift, both useful and something no one else thought of and it can be handmade by Grandma El!!! Think I will also embroider his name and maybe a cute little pig on it!!! Love this idea. I just had a baby in March and made one for her. I love this when I go to the store. Super easy! Thanks for the tutorial. P.S. I LOVE the fabric you used. I wish I could find it! I'm going to try to make this for a gift! I can't wait to see how it turns out! Thanks for sharing this awesome project. I'm going to be your newest Follower because I can't wait to explore your blog and see all the too cute inspiration you have for me!! I just made one! I love it! I love that you made a unisex cover! I was trying to figure out how I could make one before baby arrives, since we won't know the gender ahead of time. Animals! Perfect! And that's my exact carseat, so this will be easy! I made one and love it and posted pictures on my blog! Thanks for the tutorial! It's already kept a sick child at the pediatrician's office away from my baby. When my daughter, now 21 was a baby, I was constantly plagued by "do gooders" thinking they knew what was best for her .. a coughing woman with a runny nosed kid in the drs office thought it was best that her hat come off so she reached over and started untying it .. I am quite forward and mince no words and said "WTH are you doing to MY BABY?" .. she said "the child is hot!" .. I said "you take that hat off and you'll see someone HOT" .. oh how I wish I had had this cover for her! Our middle girl is expecting her third baby, a girl after two boys and this will be perfect for her .. she HATES it when people try to touch her kids! Wal Mart greeters?? Don't get me started on that one!! LOL .. your tutorial is BRILLIANT!!! I didn't find your pattern before I made my own very similar one. I used two very bright and busy fabrics with bugs since my granddaughter seems enamored with them. 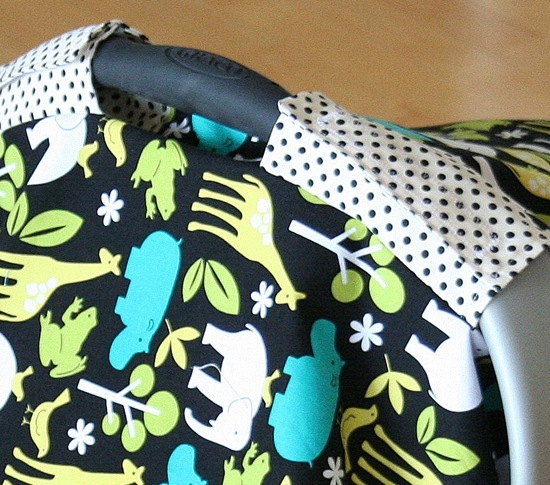 I also put handle straps on both sides so the baby could see whichever side she wanted. My daughter puts it on the carseat when baby is not it in also, but when the seat is in the car, to keep the buckles from getting burning hot. Response to keeping people's hands off toddlers– develop your "mom look" now! I always had my hand on the stroller or shopping cart and if someone approached I would wait until they were close then swing it around so the baby was no where near the stranger and shoot them a "mom look." If anyone is then rude enough to question your actions you can choose to just ignore them or tell them that you prefer people to not touch your child, you are trying to keep her well. Just wanted to share the cover I did this morning…. thank you for an AWESOME tutorial!!!! I made one too and LOVE it! Thanks for the great tutorial, I didn't change anything (except for trimming it down quite a bit, my car seat isn't quite as big as yours!!) :). I'm expecting my second child in October and I'm remembering all the curious people that try to get in the baby's face. 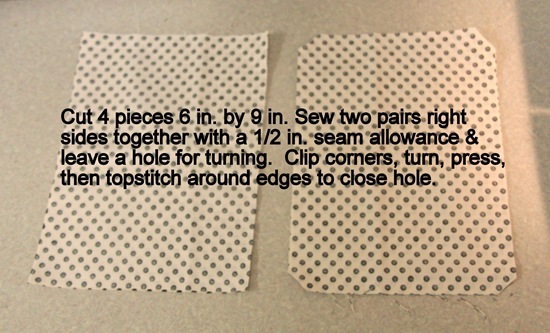 I just bought fabric to try this today even though I've had your tutorial bookmarked for a while. Thanks for sharing it! Looks exactly like the plastic ones made by Safety 1st. Except this won't catch and rip on things rendering it useless. Great idea. My baby is now to old for this type of seat. Wish I saw this sooner, because for some reason I didn't think I could make my own. doh. 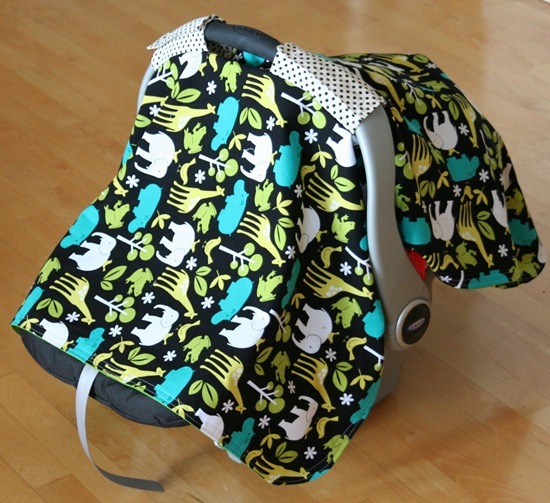 I actually recently purchased one from Carseat Canopy (that is the name of the company as well as what they call these clever, blankets that stay attached to your carseat) for $15, because I received a promo code for one. They regularly sell for $49.95!!! If I had known they were so simple, I would have just taken the project on myself. I was wondering if you could measure how far up from the bottom edge of the blanket the straps go? (distance to bottom of straps perhaps)? I would like to make this for a present for someone, but cannot measure it on their car seat. I absolutely love this! My little sister is about to have a baby and they live in an area where they can get everywhere by public transportation to they have no car. She didn't get a carseat cover at her baby shower like she hoped, so I have been looking for an easy one that I can make for her. This is perfect!!! Thanks for sharing your skills! thanks for sharing such a nice idea. it help in making the cover easily. It's a great shield for germs too. I am pregnant with my 7th child. Yes – it deters everyone from wanting to grab those cute little tosies. But it also is good to keep out the germs during RSV season. All those airborn germs….yuck! This is such a great idea! I have the fabric ready to cut and sew for my newest grand baby that is currently "in the oven". Thanks so much for the inspiration and the patterns and practical help making great stuff for family & home. I just finished making one of these, and it turned out beautifully! I just made mine, for my second child. Wish I would have thought to make one for my first….can't stand when strangers touch my child! Plus it keeps the wind off of her. Thanks for the easy tutorial! I found this on Pinterest and just made one for my friend who's expecting a girl. We live in what feels like the rain capital of them world, so I made one side with Michael Miller's Peace Daisy PUL. It turned out great, thanks so much for tutorial! Why do people always want to see/touch your baby? I love the tutorial. Thank you for sharing. The other day I was at Costco and a lady approached me and asked me to lift my blanket so that she could see my baby. I just don't understand what makes a stranger approach someone wanting to see a baby? It is a friggin baby. They are everywhere. You don'thave to see ALL of them! I told her "I'm sorry but I am actually afraid the bright lights could wake her up if I do." Lord knows a lady crazy enough to ask a stranger to see a baby is probably crazy enough to touch. 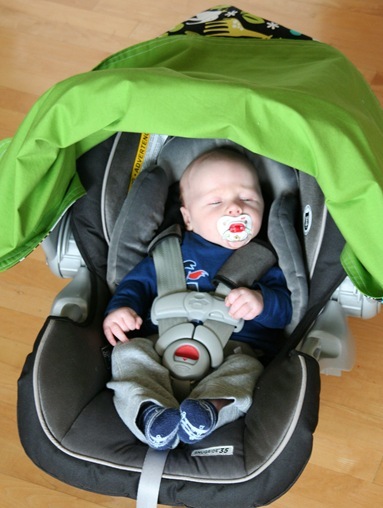 What specific fabrics did you use or recommend for a carseat cover? I want to stay away from stretchy materials because I am terrible at sewing those! I wondered if you could give fabric suggestions (cotton?) and could you please give the measurement from top to handles and bottom to handles so I know if the handles are centered or not on fabric. I may make this as a gift.